✈Description:✈❀Forward/backward, up/down, left/right side-fly, left/right turning, hovering, one key takeoff/landing, headless mode, altitude hold, one key return, Wifi control, photo/video ❀Wifi control: to realize real-time transmission for live video by pairing the mobile app to the drone wifi. ❀One-key taking off/landing: makes the operation more convenient. With one key automatic return function: the plane can find the way home easily. 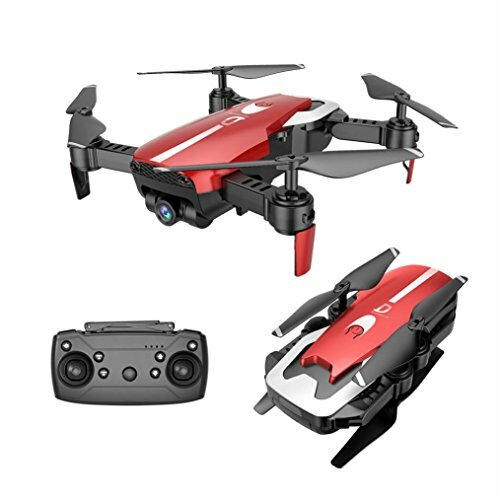 ✈Description:✈❀2.0MP wide angle camera: can capture and record every beautiful and unforgettable moment. ❀Altitude hold: provide convenient operation and stable flight, specially for beginners. Headless mode: completely solving pilot loss-of-orientation problems.